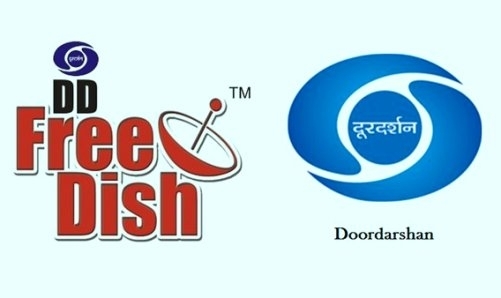 FEB 14 (WTN) - If you are enjoying interesting channels on television through Doordarshan's free dish service, then for your information, let you know that many big broadcasters will soon be pulling out their Hindi channels from DD free dish service. According to the reports, big broadcasters such as Zee Entertainment, Sony Pictures, Star India and Viacom 18 are going to separate themselves from Doordarshan's free dish service and it will have impact on about 2.2 million free dish service consumers. If it happens that the customers of Doordarshan's free dish service will not be able to see the channels like Star India, Rishte Cineplex, Sony Pal, Star Utsav and Zee Anmol. According to the information, some of the top broadcasters have agreed with the decision that they will no longer show any Hindi general entertainment and film channels on the Doordarshan’s free dish service. It is said that it is being done by such broadcasters so that cable and DTH customers can not shift to Doordarshan's free dish service. For your information, let you know that Doordarshan launched DD Free Dish service in December 2004 for the viewers. At that time there were 33 TV channels, but gradually their numbers increased. At this time, Doordarshan's free dish service has 130 channels, which include a lot of channels of Doordarshan. It also includes Lok Sabha and Rajya Sabha TV. For your information, let you know that the Prasar Bharti earns money by selling the slots of the channels of Doordarshan's free dish service. Recently, the Prasar Bharati has prepared a guideline for 54 slots auction. According to the information, the Prasar Bharati had earned an estimated Rs 85 crore from the auction of slots in July 2017. If big broadcasters pulled out themselves from Doordarshan's free dish service, then consumers who use it would have to take a cable connection or else they would have to take the service of private DTH operators which will be costly for them. This step of the broadcasters will not only be loss for the customers but also for the Prasar Bharti as well. For your information, let you know that the TRAI has introduced the new broadcast rules from 1st February, under which customers will have to pay for the same channels which they want to see. It is being said that since this new order of the TRAI, cable and DTH services have become expensive, due to which consumers are shifting to Doordarshan's free dish service. Because of this, the broadcasters are expected to be harmed, so big broadcasters have decided to separate themselves from Doordarshan's free dish service platform.